Netflix has axed superhero seres Marvel’s Daredevil after three seasons. It follows recent news that Iron Fist and Luke Cage are ending. A Netflix spokesperson said in a statement, “Marvel’s Daredevil will not return for a fourth season on Netflix. We are tremendously proud of the show’s last and final season and although it’s painful for the fans, we feel it best to close this chapter on a high note. I noticed that Alan Sepinwall from Rolling Stone has ruled out any of the Marvel shows on Netflix transferring to the new Disney Plus as it is aiming at being family friendly, all Disney Plus Marvel shows are made by Marvel Studios who do not get along with Marvel Television execs who make Netflix’s Daredevil etc.There may be a chance that Marvel TV could return these Marvel characters on Hulu which will be a mature content site for Disney once their acquisition of Fox is complete. 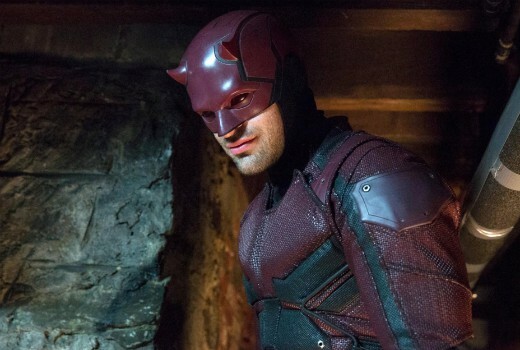 General opinion was that the writing was on the wall for Daredevil as Netflix’s arrangement with Disney will end in 2019, to order further production of Netflix’s Marvel shows could have been problematic as Disney has also just released it’s own catalogue of Marvel movies and live action / cartoon series for its own streaming service, which will be original productions and not cast offs. Netflix should still have a say about their broadcast rights for Jessica Jones and The Punisher which are well advanced, I’m sure Netflix will do whats necessary to stream the finales of these shows as well. The sad part is that the potential of all the Netflix Marvel offerings will end next year. I hope Jessica Jones is safe. It’s got it’s last season in 2019 and that’s it. Not confirmed but based on the what happened to Luke Cage, Iron Fist and Daredevil it’s the most likely fate.